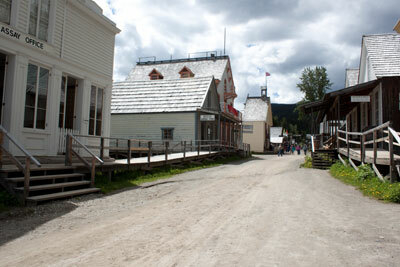 For part of our stay-cation, we took a day trip out to Barkerville, a historical BC Gold Rush town. 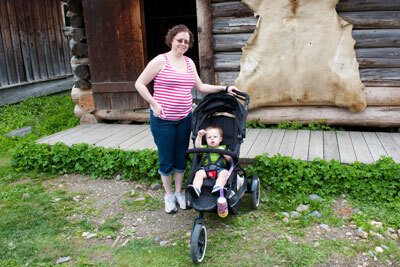 We were going to step into the past by about one hundred and fifty years into the largest city of the Cariboo Gold Rush. 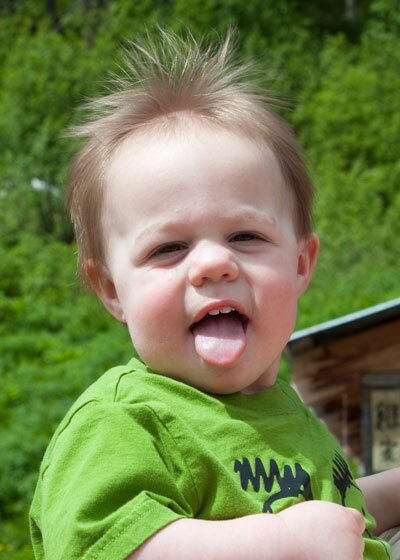 And of course, that means pictures. There were plenty of things to see while we were there. There was the main part of town when you first entered the town. On that main street, you had the doctor’s office, the town shops, the library, the town hotels (two of which were still in operation for tourists to use as bed and breakfasts… Barkerville is too far in the middle of nowhere to be used by anyone else), restaurants, a blacksmith and the government offices… among other things, including the town brothel. Obviously, the brothel was no longer operating in its original capacity since brothels and other forms of houses of prostitution are now illegal. At the end of the main street, you have the remains of China Town. Barkerville had a huge Chinese population (well, proportionally huge; it wasn’t a very big town by modern standards even at its height). The Chinese school and several businesses are still standing. To make the trip even more authentic, the employees are dressed in period appropriate clothing. 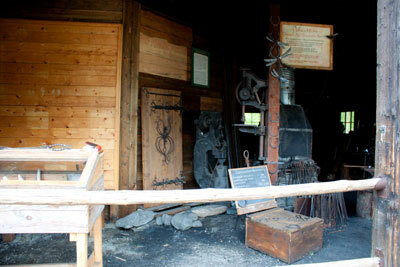 The blacksmith is still working and demonstrating period specific metal work. It’s definitely primarily an outdoor family activity; there are no air conditioned buildings and it’s a lot of walking through the town itself along the dusty trails. 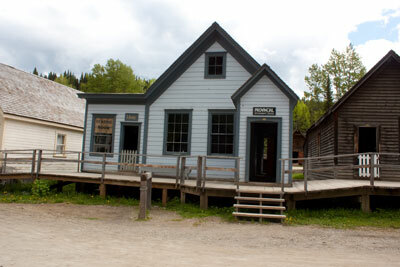 There’s also the option of riding on one of the town’s still functioning coaches to go further out to another little gold rush town called Richfield. It was just a wonderfully fun little day that we all enjoyed. Since they have events throughout the summer to correspond with festival days, we may make another trip out some time this year. We aren’t certain that we’ll go out for the one winter event; the road to get there will be pretty treacherous. 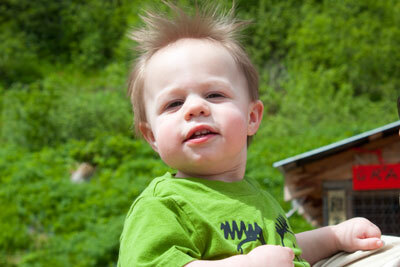 The two and a half hour drive to get to Barkerville will easily be a four hour drive. 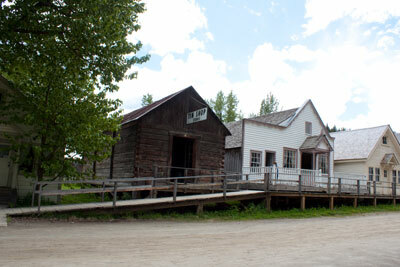 Have you ever been to Barkerville? 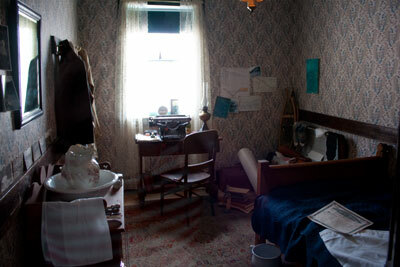 The school house was so tiny that I actually couldn’t get a wide shot of the entire classroom! 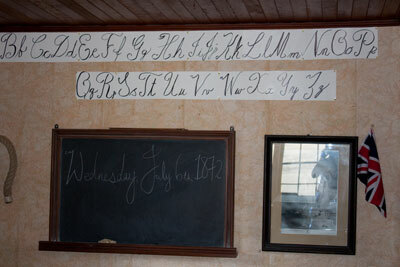 Here’s the blackboard and front of the classroom. 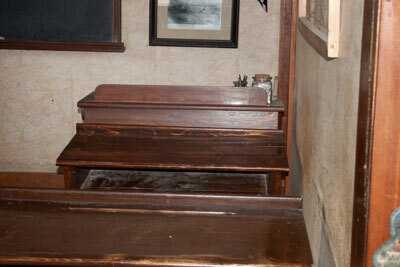 One of the two rows of desks in the school house. Those desks would have sat two students each. 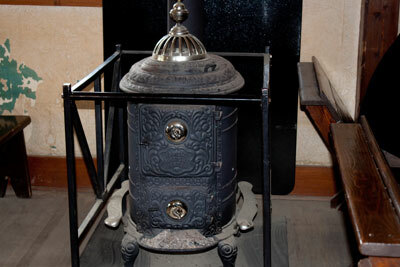 This stove was the heat source for the school house. A row of shops on the main street. The blacksmith. They actually have a working blacksmith on the town staff still using the facility. The post office. 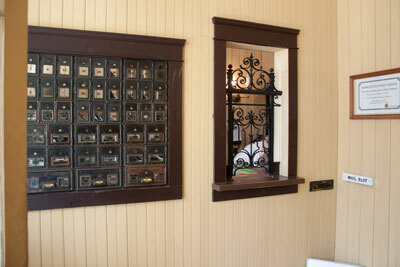 Those little tiny boxes were the individual mailboxes. Norton enjoying the view… and the breeze. 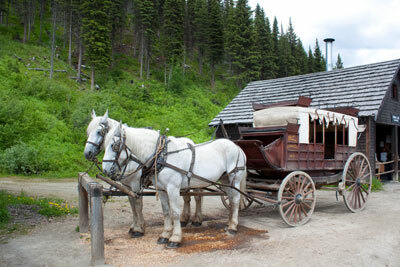 A gold rush hotel room. It’s a pity you don’t have a donate button! I’d without a doubt donate to this superb blog! I suppose for now i’ll settle for bookmarking and adding your RSS feed to my Google account. I look forward to new updates and will talk about this site with my Facebook group. Chat soon!